Patrick finished his MSc in Computer Science in 2014. Since 2015 he has taught Computer Systems at Prague College. His main focus is on system security, open-source systems, computer ethics, Internet and privacy issues. A speaker of German, French, Russian, Czech and English, Patrick's practical skills range from basic business knowledge to project management and business ownership. 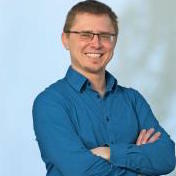 Prominent in all these areas is his expertise in marketing, web design, and business-related computer systems. He likes to focus on mainstream alternatives and open-source systems as a way of combatting the monopoly of big computer corporations, and supporting the computer user's right to privacy.